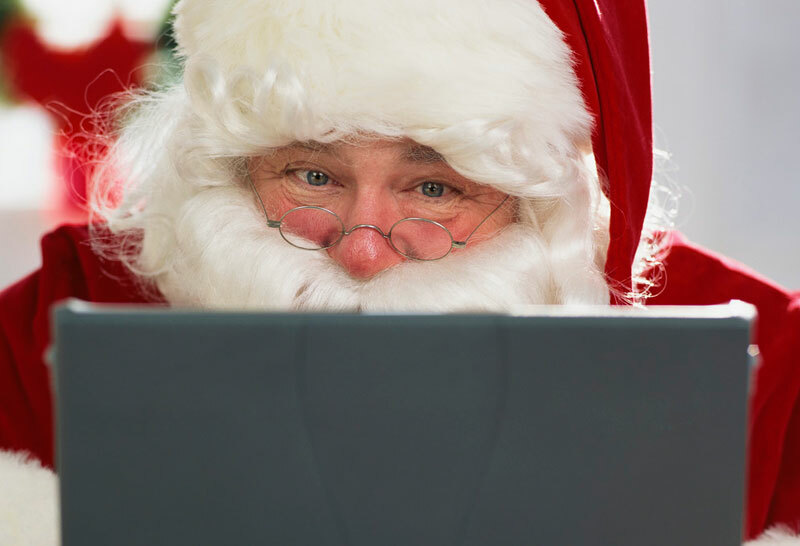 What if the real Santa Claus had a social media voice? What first comes to mind when you hear or see talk of Christmas? I could go on and on with the questions, but you choose the word that first comes to mind and I’ll pick mine: Santa. 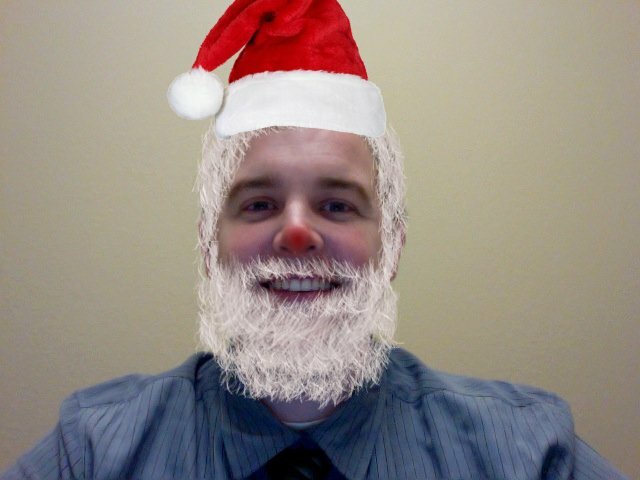 Thanks to Google+ for allowing me to transform into Santa. Why is that my first thought? Probably because if you stuck me in a red jump suit and add a white beard and hair, I’d be a dead-ringer for one of the world’s most polarizing Christmas figures (see photo). Now yes, some of you may think he is not real, but don’t be a Grinch or Scrooge when it comes to Christmas, or Santa, just yet. Let’s just pretend he is, and also let’s just pretend he lacks a true social media voice. I don’t know how Internet savvy Santa is, because let’s face it, he has his hands full being the CEO of the Elf Workshop, sorting out billions of gift requests and compiling his naughty and nice list. Facebook’s algorithm for pay-per-click advertising has been difficult to crack, so wrap your head around how Jolly ‘Ol St. Nick delivers all of those gifts in one day…it’s mind boggling. But Santa could make his life much easier with the right marketing/advertising strategy. So here are a few ways a social Santa could spend more time on the beach or golfing each year, rather than shrouded by ice, cold and polar bears. Customer service: A brand page through, let’s say Facebook (800+ million users), could help Santa funnel wish lists from his clientele all over the world. This allows for organization, and allows for his elven marketing staff to relay answers to questions or requests quickly. He could even use Foursquare or some other social location venue for checking into various places all over the world. Instead of NORAD tracking him for us, we can follow his delivery rout, thus we’d have an idea of when our gifts should arrive and we could get to bed before he does. Engagement: Using an official Twitter account, accompanied with the blue check mark (this icon dubs user as “official”), Santa could begin to erase the moniker of his non-existence, thus providing credibility for his actions. With Twitter, Santa could post pictures of the hard work going on at the North Pole, and tweet/retweet content from his elves (assuming he requires them to create an account), Mrs. Claus and his followers, creating a buzz around his operation. With the list function on Twitter, Santa could separate his followers into “naughty” and “nice,” (could also do this with Google+ Circles) allowing him to monitor his clientele’s actions each day. Then, he could decide whether to move them from one list to the other based on their daily actions on Twitter. All of this real-time interaction with his followers could help him spread the word that the services he provides are indeed, legit, not discredited. Networking: Santa is a large fellow with a large operation. Most people like their back “scratched,” but sometimes it’s hard to do it by oneself, especially if you are Santa. By socializing his workshop/operation, he opens the door to other services that will not only benefit him, but others as well. Santa must ask himself this question: How can I help evenly distribute the weight I am carrying? (Talking about his workload weight, not his plump frame. Of course, I guess he could venture into the world of bariatric surgery…OK, now I am just rambling). For example, instead of Kris Kringle tending to his reindeer daily, perhaps he seeks out a service through Twitter or Facebook that specializes in animal grooming/maintenance. He may have to shell out a few extra bucks because this service would have to weather the conditions of the North Pole. But by Santa being social, he erased a hefty duty that should allow him to place focus elsewhere. If Santa approved of said animal grooming service, he could very well give it a great recommendation through Twitter or Facebook, or both, and with Santa’s social voice, that could go along way for the grooming service as far as attracting new business. So you see, even the most influential delivery man in the world could benefit from a social media voice. OK, now it’s time to leave out the milk and cookies so when Santa comes to town, I’m not the one who is without presence. How do you feel about social media? How do you use it? Love social media! Great way to stay in touch with friends, find great deals, promote business. Good article, witty and well written. I use social media for staying in contact with friends and networking. I use social media to stay in touch with my friends. I’ve lived in 5 states and had attended 2 highschools and had lost touch with most of my friends…until Facebook. Its allowed me to catch up with friends and family all in one place. I love it! Good article! Networking is important! would love to win the ipad and use it to stay in touch with friends!